Residents and local officials say Taliban fighters captured much of the key city, but the army claims to be in control. The battle for Afghanistan‘s key city of Ghazni between Taliban fighters and security forces has intensified, with dozens of people reported killed after three days of violence. Politicians from Ghazni who managed to talk to some residents said on Sunday that the Taliban were in control of much of the city after launching an initial attack in the early hours of Friday. “Only the governor’s office, police headquarters and intelligence agency’s compound are in the hands of the government and Taliban are pushing to take them,” said Chaman Shah Ehtemadi, a legislator from Ghazni. Nasir Ahmad Faqiri, a provincial council member, said only police and Afghan spy agency forces were battling the Taliban with no help from the army. “The situation is very dire at the moment,” he said. Mohammad Rahim Hasanyar, a senator from the province, said reinforcements from the capital, Kabul, had not moved past Rawza, a town located 2km northeast of Ghazni, the capital of the province of the same name. The comments contradict claims by the Afghan defence ministry that reinforcements had arrived and were battling Taliban fighters. 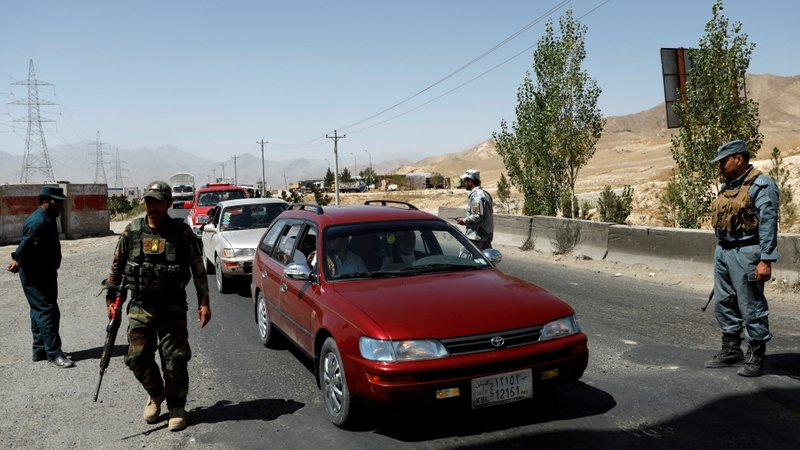 Mohammad Sharif Yaftali, Afghan army chief of staff, said on Sunday the city was not under threat of collapse and heavy fighting was under way to push back the Taliban from city limits. “Strategic locations and centres in the city are under the control of Afghan forces and the Taliban are hiding inside people’s homes and shops and resisting,” Yaftali told reporters at a news conference in Kabul. According to the US military headquarters in Kabul, US aircraft conducted at least four air raids on Sunday and five more on Saturday, but details of the fighting were unclear as most of the city’s telecoms masts were destroyed in recent fighting over recent. 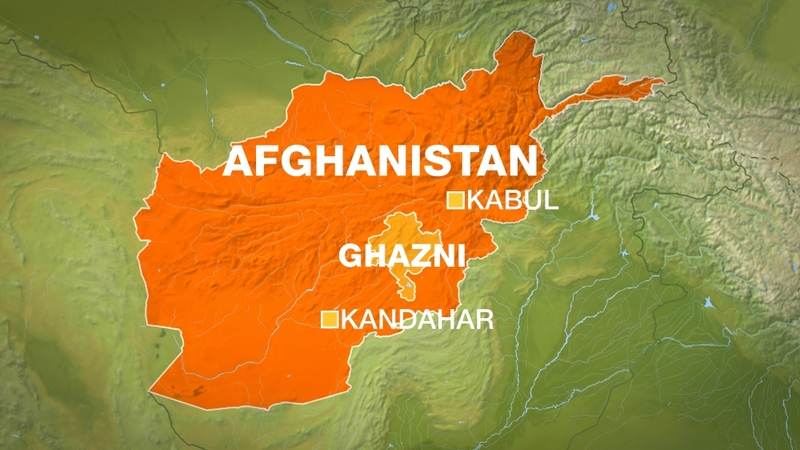 Ahmadulla Archiwal, an Afghan security analyst, told Al Jazeera from Kabul that Ghazni was a “strategically important city”. “It’s 150km east from Kabul and it’s situated on the highway connecting the capital to Kandahar. Whichever side controls Ghazni, [it] can control the neighbouring provinces of Paktika and Zabul, as well,” he said. “It is over and the city is taken,” said a man standing outside his home, with several Taliban fighters nearby. There was no confirmed word on casualties. Quoting a hospital official, Afghanistan’s 1TV television reported more than 90 members of the security forces and 13 civilians had been killed, with more than 100 wounded. It said there had also been heavy Taliban casualties. With the highway heavily mined to prevent reinforcements from arriving, residents were largely blocked inside, but some who managed to escape across fields on the city’s periphery said many government buildings were ablaze. “There was burning and fire and dead bodies everywhere in the city,” said Abdul Wakil, a local resident who escaped told Reuters news agency at a checkpoint into Kabul. The onslaught was the latest attempt by the Taliban to overrun an urban centre and comes as pressure increases on the armed group to begin peace talks with the government to end the nearly 17-year-old war. The attack was the largest tactical operation launched by the Taliban since an unprecedented truce in June brought fighting between security forces and the Taliban to a temporary pause.